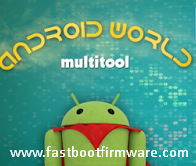 Android Multi Tools is free flashing software which is used for hard reset - factory reset or unlock pattern locks of Android phones. To install this tool on PC their are several requirements which really needed to install on PC. And it is the best and specialist tool in the market to remove the pattern. As the name suggests multi-tools, it can perform multiple tasks at the same time. It helps you at those stage if you have forgotten pattern lock of your phone and unable to recover it. On the off chance that you have been bolted out of your Android telephone or Tablet for reasons unknown then you may go looking for a technique for opening your gadget on the off chance that you either overlooked the watchword or the example bolt particularly subsequent to having the excessively numerous example endeavor cautioning. In the event that you have effectively depleted your choices, for example, attempting the catch blends to reset both your Phone or your Tablet and they don't work for reasons unknown, for example, your catches being harmed then you may be confounded and going to surrender. Prepare to be blown away. there is as yet a possibility you can open your gadget utilizing a product called: Android Multi Tool or Android Multi Tools. Now below provided download links will help you in downloading or Android multi tools.